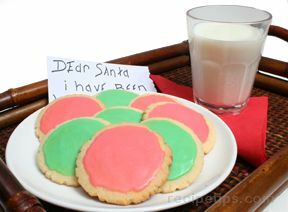 This tasty sugar cookie recipe is perfect for creating festive holiday treats. The cookie dough is firm enough for use with almost any cookie-cutter shape; yet the resulting cookies bake up crunchy and buttery. Use a wire whisk to mix all dry in a bowl. Set aside. With a mixer, cream butter and sugar until light and fluffy. Add eggs and vanilla. Mix well. Slowly add the dry ingredients until all is incorporated and forms a nice dough. Chill for at least 1 hour. 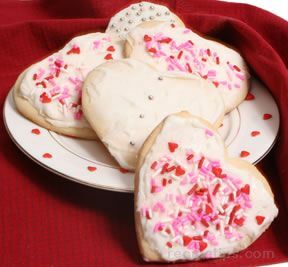 Preheat oven to 350Â° F.
Roll the dough to the desired thickness and cut into desired shapes with cookie cutters. Bake cookies on an ungreased cookie sheet for 8-10 minutes, or until the edges are just turning brown. Transfer the cookies to a cooling rack. Decorate as desired. 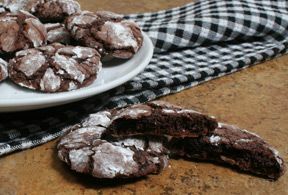 "I get all kinds of compliments on these cookies when i make them. I never really enjoyed making cutout cookies before, but now that I have this recipe I love making them." 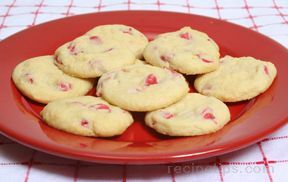 "this recipe was easy and a great idea for kids...will be using this for christmas cookies."